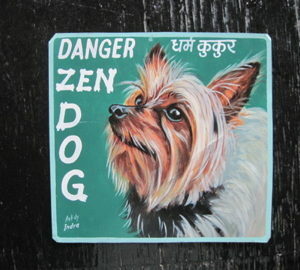 This Zen Yorkie by Megh Raj Thapa is colorful and shows off his bright eyes. 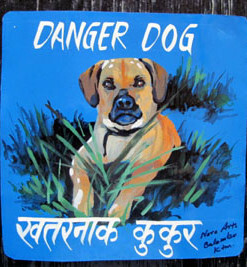 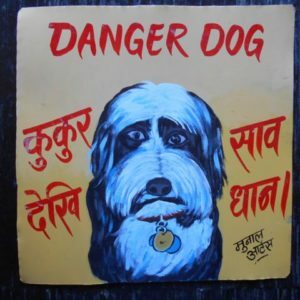 Folk art Beware of Shiba Inu hand painted on metal by the Pokhara artist Santosh Shrestha in Nepal. 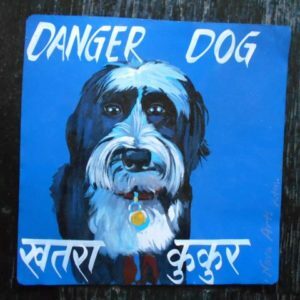 Zelda makes a handsome Danger Dog in her portrait with the deep blue background that is typical of the artist Nara. 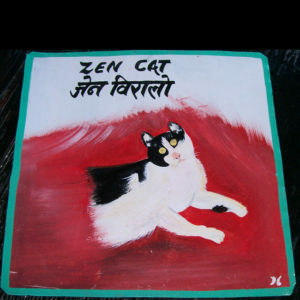 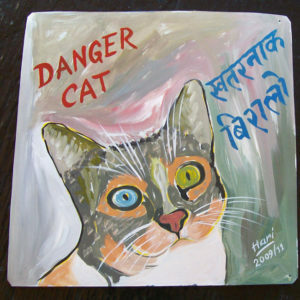 Holly the 3-legged Cat is made into a 2-legged Cat in this portrait by Chandra Chaudhury, a sign painter in Kathmandu. 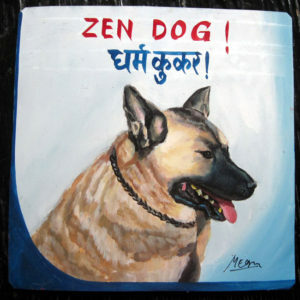 Megh Raj Thapa painted this sweet painting of Charley the Elkhound. 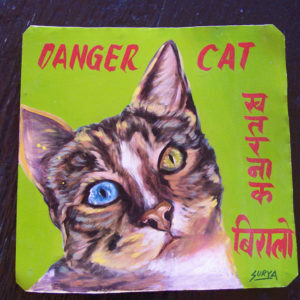 I like the collar. 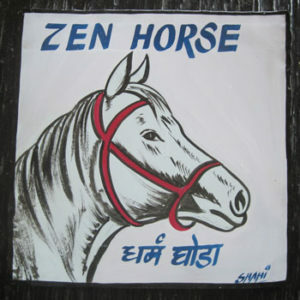 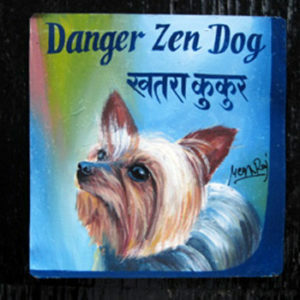 This Zen Yorkie is hand painted by Indra Lama against a dard green background. 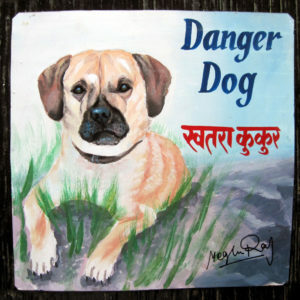 This is a wonderful portrait of a handsome dog.